Mr. Blackburn graduated from the University of Alabama in 1979 with a Bachelor’s Degree in Business Administration. In 1982, he received a Juris Doctorate degree from the University of Alabama School of Law where he served as a member of the Moot Court Team, a member of Bench & Bar legal honor society and a member of the editorial staff of the Alabama Law Review. After 13 years of an active litigation practice with other firms, Mr. Blackburn founded his present firm in 1995, with offices in Bay Minette and Fairhope. Past and present representative clients of the firm include Baldwin County Commission, Baldwin County Electric Membership Corporation, the City of Spanish Fort, the Bay Minette Industrial Development Board, Commonwealth Land Title Insurance Company, Mississippi Valley Title Insurance Company, Regions Bank, Central Bank, Vision Bank, CharterBank, Certus Bank, Caribe Resort, Turquoise Properties Gulf, Inc., PowerSouth Energy Cooperative, Choctawhatchee Electric Company and numerous individuals and businesses. 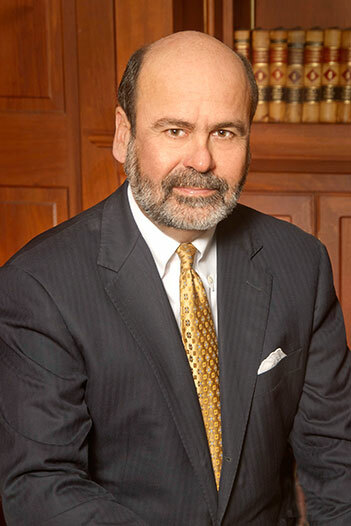 During his legal career, Mr. Blackburn has developed an extensive commercial and real estate litigation practice involving hundreds of cases throughout Southwest Alabama, including the handling of over 60 appellate cases with reported decisions from the Alabama Supreme Court and the Alabama Court of Civil Appeals. A listing of Mr. Blackburn’s reported decisions can be found here. He has also handled numerous zoning and land use cases involving verdicts and settlements in excess of $1 million. Following the BP Deepwater Horizon oil spill disaster in April of 2010, Mr. Blackburn became actively involved in the processing of Business Economic Loss Claims through the court-ordered settlement program. Between 2010 and 2014, Mr. Blackburn has obtained settlements and awards from the claims program in excess of $28 million, with additional claims pending. Mr. Blackburn has served as past President of the Baldwin County Bar Association, and a member of the continuing legal education committee. Outside of the legal field, Mr. Blackburn has served as a past board member of the North Baldwin Hospital Foundation, a regional director for Regions Bank, past board member and President of the North Baldwin Chamber of Commerce and past President and Drive Chairman for the North Baldwin United Way. Mr. Blackburn presently serves on the advisory board for First Bank, and since 2012, has been a member of the board of directors of Infirmary Health System, the largest hospital system in south Alabama. Mr. Blackburn is married to the former Debra Hill of Mobile. They have two children: Grant Blackburn, who joined the firm in 2012, and Mary Blackburn, who is completing her education. The Blackburns reside in Montrose and attend Church of the Apostles in Daphne. Mr. Blackburn enjoys fishing, hunting and spending time outdoors.